Now everything is not completely square in Minecraft. 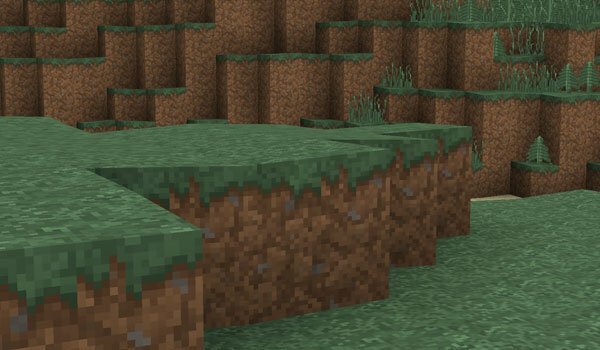 NaturalBlocks 1.7.2 is a mod that aims to change the grid aesthetic of Minecraft blocks, in another words, it cuts the top faces of the terrain blocks of our world, to simulate terrain imperfections. Now two blocks of grass, one beside the other, are not aligned across its surface, they will not be flat. Some of these blocks have small slopes, thus giving a sense of imperfection of the field, but not like the mod No Cubes which made te cubes look “triangular”. If the image you see above is not very clear, take a look at the video. How to install NaturalBlocks Mod for Minecraft 1.7.2?